Modal or a modern popup window is now an omnipresent startup front-end UI element. It's useful when prompting the user to login, subscribe to a newsletter, and take an exit offer. Not exactly concise. Because though small, the element has all the essential backbone of a full web page: header, body, footer, exit, and it usually handles a form with input and submit button. It's not a trivial element. 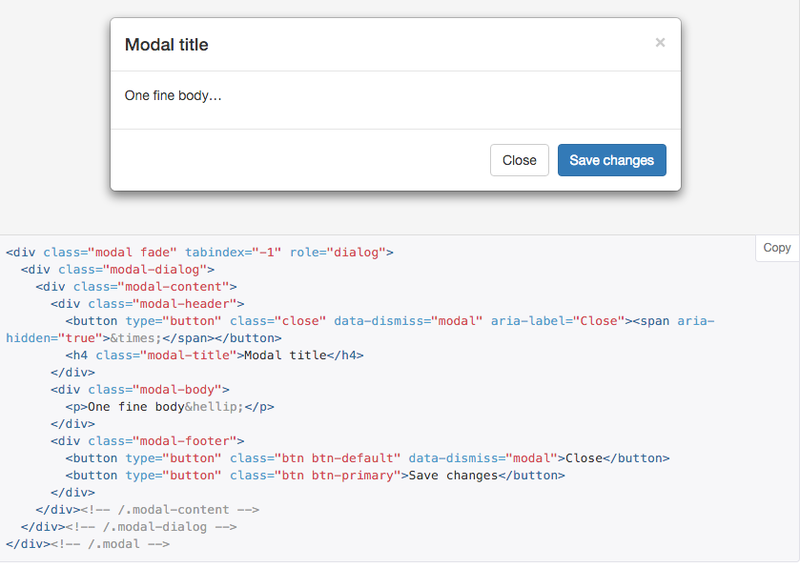 Put the mini form, such as a login form, and its submit button in the modal-body.